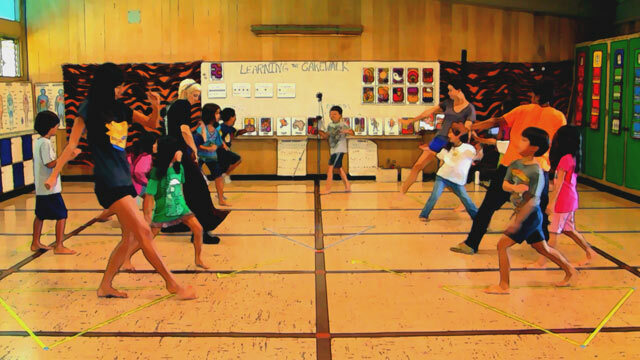 Divide your group of dancers in two teams. Each team assembles on the long side lines of the dance-space. A dividing line in the center works as a barrier between the teams. Just like waves, the dancers will move toward the center line and rebound back to the side lines in a continuous action. 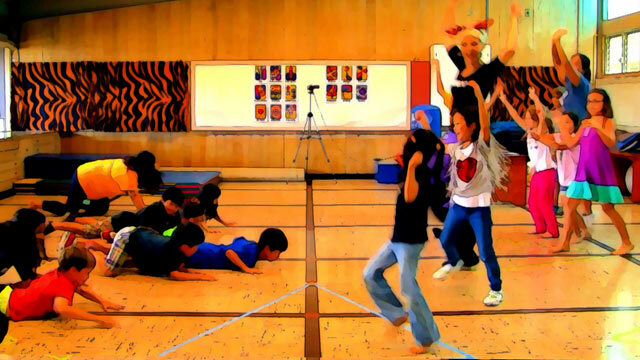 Dancers create movements independently (see “Check it Out.”) To inspire creative ideas you can display MUVE Concept-Cards.